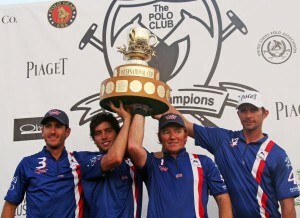 from left to right Game MVP Nic Roldan, Carlos Gracida Jr., Marc Ganzi and Jeff Hall, winning Team USA hoisting the International Cup. Photo Credit Alex Pacheco. 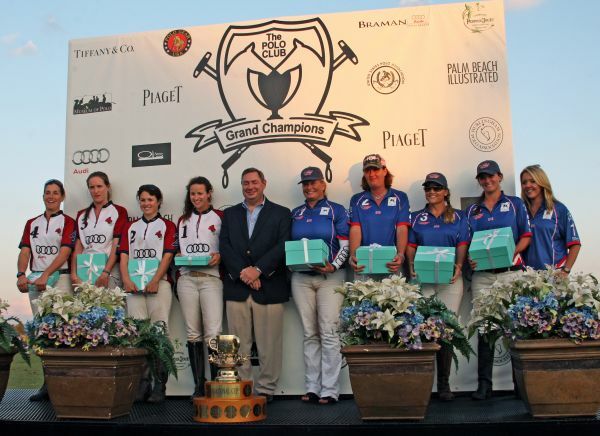 Wellington, FL-November 25, 2012—With chants of “USA, USA” from the near-capacity crowd, Team USA defeated England, 8.5-6, for the coveted International Cup on Sunday at Grand Champions Polo Club. The impressive victory avenged Team USA’s 11-10.5 loss to England earlier this year at Great Britain’s Cowdray Park Polo Club. It was the first time the historical men’s international game was held at Grand Champions Polo Club, continuing a fierce rivalry between the two polo-playing nations. 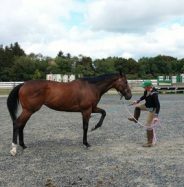 “Any time you play England you know you’re in for six chukkers of a war when these two countries get together,” said Team USA’s Marc Ganzi, who co-hosted the prestigious event with his wife Melissa. Team USA was led by the game’s Most Valuable Player Nic Roldan, a Cardinal Newman High School alum who grew up in Wellington. Roldan finished with a game-high five goals. Ganzi and Gracida Jr. worked throughout the game on defense opening holes for Roldan and Hall to score. Team USA, a 19-goal rated team, led the five-chukker match from start to finish with a balanced attack from Ganzi (1 goal), Jeff Hall (8), Roldan (7) and Carlos Gracida, Jr. (3), son of Hall of Famer and former 10-goal player Carlos Gracida, who proudly watched from the crowd. “I am very proud of him, he played very well against a good team, I couldn’t be happier right now,” Gracida Sr. said. England’s team of Jack Richardson (4), Max Routledge (5), Tom Morley (6) and Richard LePoer (5), a 20-goal rated team, had problems with Team USA’s aggressive defense forcing them into error-prone play. Richardson and LePoer each had two goals for England. Team USA held England scoreless for the first two chukkers while grabbing an early 2-0 lead with goals from Ganzi and Hall. 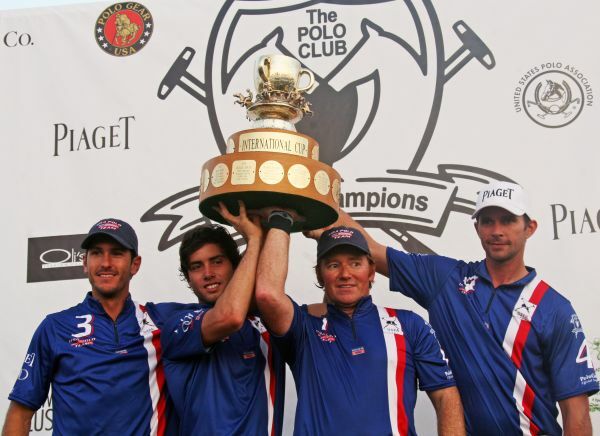 Team USA continued to build momentum in the next two chukkers with four goals from Roldan. 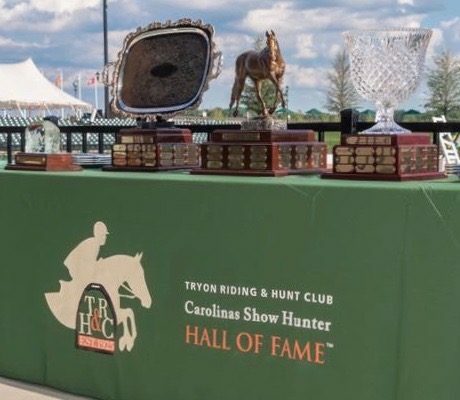 The 20-goal championship game featured some of the top players from England and the U.S. in the United States Polo Association and Hurlingham Polo Association-sanctioned international tournament. 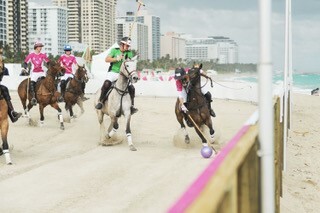 It was the third time Roldan represented the United States in polo. Roldan, Ganzi and Gracida Jr. were coming off a successful 20-goal fall season playing for Audi. In the USPA National Twenty-Goal Championship final, Audi defeated Piaget, 10-9, after winning the USPA North America Cup the week before. Sunday’s victory was icing on the cake for Ganzi and his teammates. “The last time these guys came here we didn’t defend our home court and they beat us badly,” Ganzi said. “That match was a tough one for us to swallow. We regrouped and went to England in May and lost a really tough game by a half goal on a last-second penalty shot. We felt like we won that game. Nic, Jeff and I talked about it and said we wanted another chance and today we got that chance. 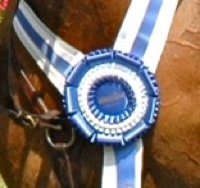 Hall’s horse, Smooth, was named the game’s Best Playing Pony. The U.S. team women’s team of Sunny Hale (3 goals), Melissa Ganzi (0), Tiffany Busch (1.5) and Gillian Johnston (1.5) were less fortunate losing a lopsided seven-goal game, 7-2 in four chukkers to a well-balanced England team. The England team of Hazel Jackson (1), Sarah Wiseman (1), Claire Donnelly (1) and team captain Nina Vestey Clarkin, rated at 4 goals and regarded as the world’s top women’s player, never gave the U.S. an opening. England pulled away early in the first two chukkers for a 5-1 lead and were never challenged. Wiseman led scoring with a game-high four goals for England. Hale had Team USA’s two goals on penalty shots. 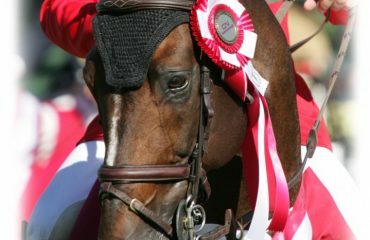 Best playing polo pony was Rapsodia, a 6-year-old bay mare ridden by Clarkin and owned by Melissa Ganzi. Team on the left from left to right is England, (4) Sarah Wiseman, (3) Nina Clarkin, (2) Claire Donnelly and (1) Hazel Jackson. Team on the right is USA, from left to right, Melissa Ganzi, Gillian Johnston, Sunny Hale and Tiffany Busch. Photo Credit Alex Pacheco. This photograph may only be used in relation to this PMG press release.